This one’s a little late but due to my laptop needing a new hard drive, that kind of took priority! So, after two awesome weeks in Melbourne, I was set for a 4 and half hour journey to Perth on the west coast. First things first, it’s hot over there! I thought Melbourne was warm but bloody hell, this took it to a whole new level. Absolutely gorgeous, though. Some of the countries best beaches are that way, I had been told, and I can confirm that now (from what I’ve seen so far). There’s so much more than that, and I was lucky to have a friend over there to show me around some of these really cool places! This is quite possibly one of the biggest parks I’ve been to. I spent over four hours one day wandering through it and still missed so much of it. It is HUGE! It’s also on top of a big hill (why do I do this to myself?!) but once up there, there were some stunning views. 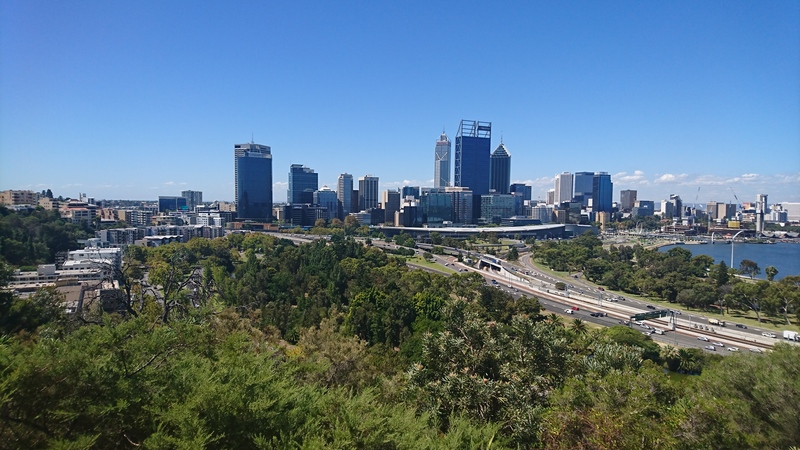 Memorials, the Botanical Gardens (which is split into different regions) and views over the CBD and harbour. Remember the weather is essentially perfect so I had to delete a lot of duplicate photos! walkway with viewpoints and also a glass bridge! Not going to lie, that freaked me out a little (I don’t like heights, after all) but I still went over it, of course. 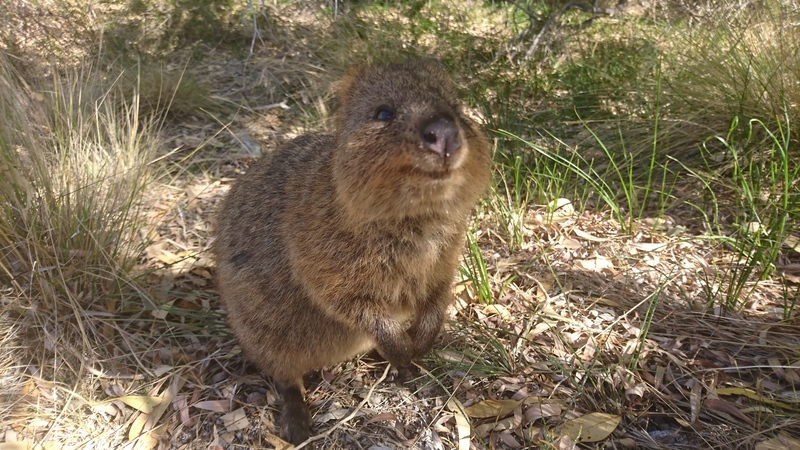 So, after seeing penguins in St Kilda, I knew I was going to see these cute buggers called quokkas on Rottnest Island. They are ridiculously cute and very happy to approach people (but don’t feed them) for pictures. I also tried snorkelling for the first time. It was strange but with more practise I’ll get there. Another trip took us to Penguin Island. 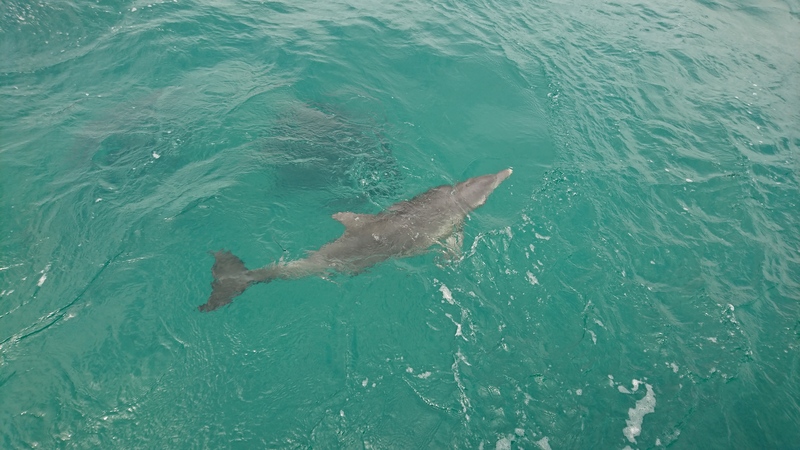 We did a boat trip first and saw dolphins! They even chased the waves the boat made. That was cool. On the island itself, we saw a penguin feeding but the wild ones were hiding during the day. We did see one in a little cave, though. We also went to a wildlife park where I was able to feed kangaroos, meet a koala and a wallaby among many more. That was an awesome day, too. Lots of pictures from that day – animals don’t listen to instructions very well! One of my favourite things about Perth happened a couple of days in. 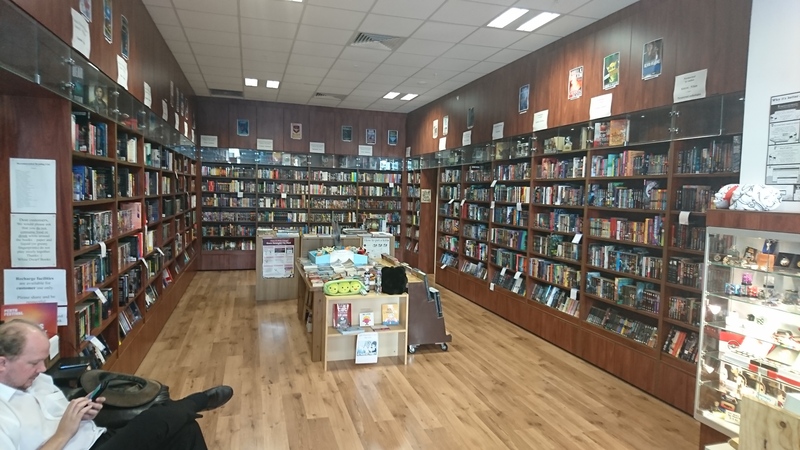 I discovered a bookshop called White Dwarf books. Now, everyone knows I love books but this store goes to a whole new level as it’s a store specifically for science fiction and fantasy. I stayed in there for hours chatting to the staff, who were cool. I actually missed a bus tour around the city, but I regret nothing. I could have bought everything in that shop. About a ten minute walk is a place called the Nostalgia Box, a retro gaming museum. 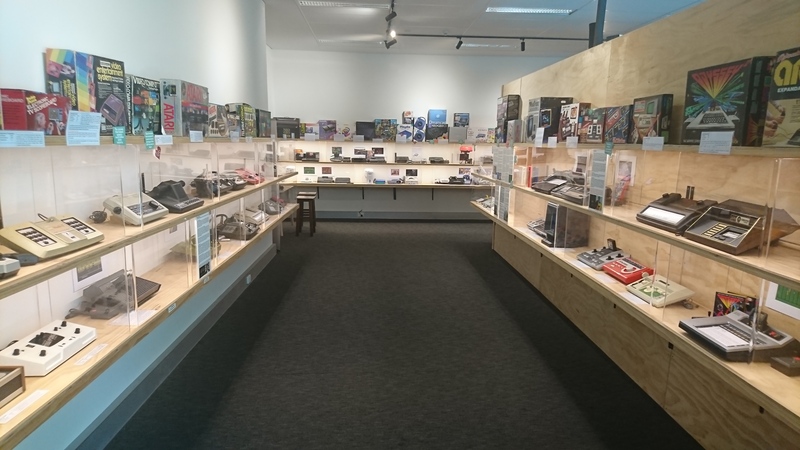 It’s a neatly packed place going through the history of video game consoles from the beginning through to the last generation and even though I knew a fair bit, I came away with a little more knowledge. Bonus. And, of course, a bunch of consoles to play, too! 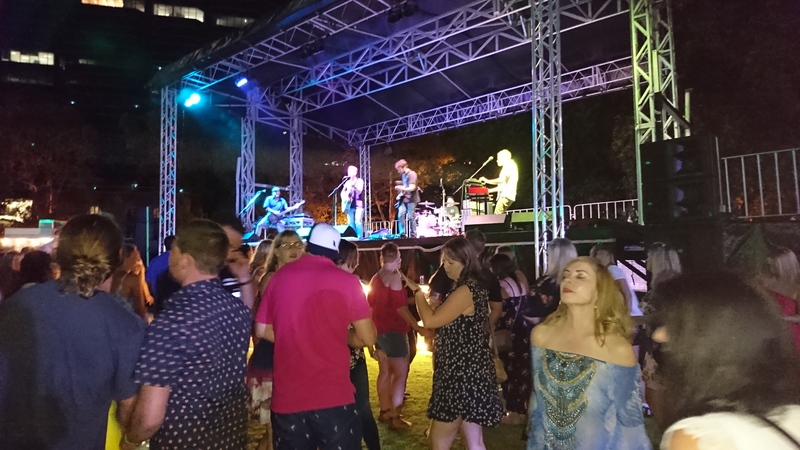 The last weekend of my stay in Perth happened to coincide with the Cider and Pork Festival. This was a great night with good drinks, even better food and decent music. I met some really cool people, one couple in particular stood out. We were chatting and they asked about my book. After explaining it to them, and what my job involves, they practically demanded I stay in the country longer than the current plan. It was really nice to hear people that enthusiastic about my work and I admit, I am tempted to stay longer if I can. I want to point out here that these events in the UK are ridiculously expensive. While alcohol is generally more expensive in Australia than back home anyway, the prices I paid for these drinks were about the same as in bars, so it made no difference. A festival back home has a definite increase in price. This is just a snapshot, we did so much! Those two weeks ended too early, I think. Back to Melbourne for a few more weeks with the F1 coming up fast!